Choir! Pays Tribute to Chris Cornell with Soundgarden - "Black Hole Sun"
The Toronto-based troupe honoured the Soundgarden and Audioslave singer, who tragically died last week. 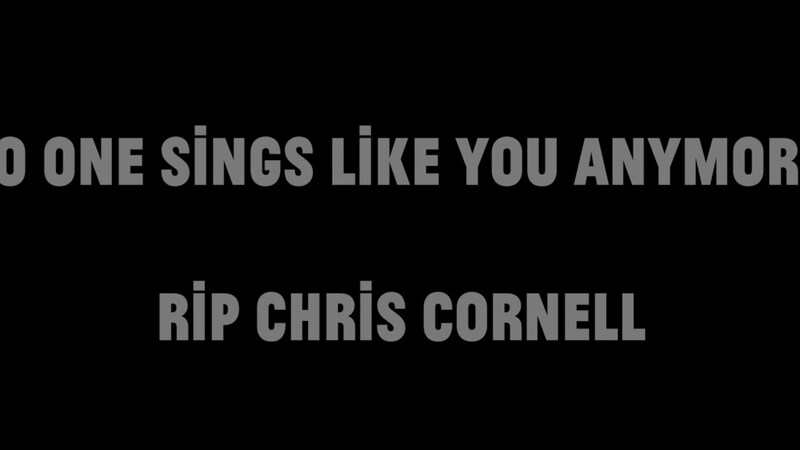 A choir has performed a moving rendition of Soundgarden's Black Hole Sun in tribute to the late rock star Chris Cornell. The Toronto-based singing collective - who call themselves Choir Choir Choir- wrote in their description: "RIP Chris Cornell. No one sang like you, or ever will." Tributes have continued to pour for the grunge icon, who tragically committed suicide on Wednesday 17 May. His beloved wife, Vicky, has since written an open letter to the late rock singer, which reads: ""You were the best father, husband and son-in-law. Your patience, empathy and love always showed through." "You were the best father, husband and son-in-law. Your patience, empathy and love always showed through. "You had always said I saved you, that you wouldn’t be alive if it were not for me. My heart gleamed to see you happy, living and motivated. Excited for life. Doing everything you could to give back. We had the time of our lives in the last decade and I’m sorry, my sweet love, that I did not see what happened to you that night. I’m sorry you were alone, and I know that was not you, my sweet Christopher. Your children know that too, so you can rest in peace. "I’m broken, but I will stand up for you and I will take care of our beautiful babies. I will think of you every minute of every day and I will fight for you. You were right when you said we are soulmates. It has been said that paths that have crossed will cross again, and I know that you will come find me, and I will be here waiting. "I love you more than anyone has ever loved anyone in the history of loving and more than anyone ever will.